Real estate, it's not just an industry or a job, it's a community…. It was just over four years ago when Ask Gina & Company joined Keller Williams. At the time we didn’t know they had a written belief system, we only knew we liked how it felt. Culture and opportunity were apparent at every turn. Our team has flourished using the models and instruction available to us here and for that we are grateful. What we didn’t really see at the time was how like begets like and “people like us do things like this”. The outpouring of support for Jen since her accident has been simply amazing. Past clients, neighbors, agents and vendors – some we have worked with in the past – some we are in direct competition with – all joined hands and came together as a family. To say thank you seems trite. 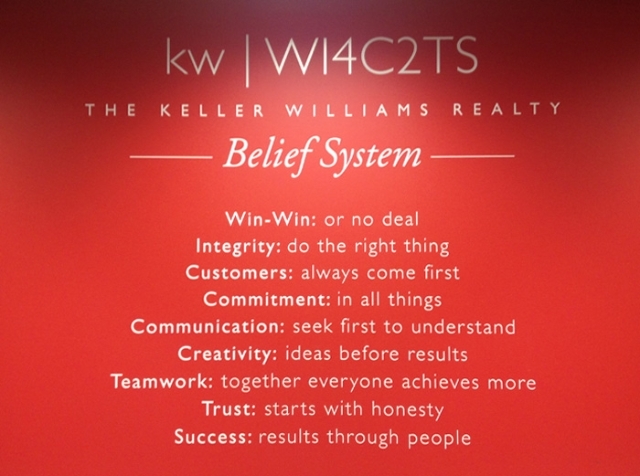 Reading over the KW belief system with today’s light brings tears to my eyes. AGC feels blessed to be able to partner with such a company and are so happy we are home.